How restrictive are Asean’s Rules of Origin? Asia accounts for more than 50 per cent of the world’s automobile production, 62 per cent of liquid display screen, 86 per cent of smart phones and 100 per cent of digital cameras. Much of this production is based on production networks: that is, value chains that criss-cross the region, with the various stages of the production of each good taking place in different countries, depending on the comparative advantage of each. To lower barriers to the formation of these production networks, a number of countries are forming bilateral and regional trade agreements. While big players in the region — China, India, Japan and South Korea — are progressing quite slowly in this respect, Southeast Asian countries are far more active in forming regional trade agreements. 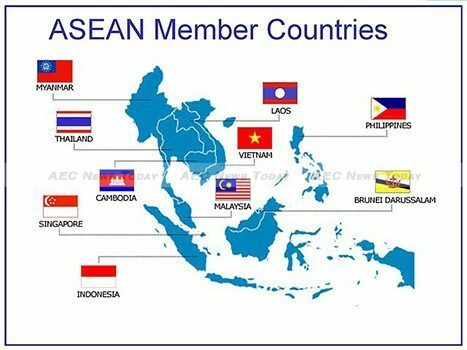 In 1992, Southeast Asian countries formed the Asean Free Trade Area. By January 2010, Asean had trade agreements in effect with its major trading partners: China, Japan, South Korea, India, plus an agreement with Australia and New Zealand. Now, 60 per cent of Asean’s total trade is covered by free trade agreements (FTAs). Rules of origin — which specify under what circumstances a good may be said to originate from a particular country, thereby qualifying it for lower tariffs negotiated in preferential trade agreements — stand in the middle of these two developments. Rules of origin can either facilitate the dispersion of production or make it difficult. They are essentially local-content requirements imposed on exporters of final goods who want to claim the benefit of preferential tariffs within a trade bloc. Rules of origin prevent firms from outside the preferential agreement from simply exporting their goods to an intermediate country that has preferential tariff rates with the final destination. The rules can take several forms — for example, there can be product-specific rules, which often examine whether there has been a change in tariff classification, the degree of regional value content or other technical requirements. There are also regime-wide rules that specify the extent to which goods that originate in another country in the preferential trade zone can count as ‘originating’ in another for tariff purposes. Asean’s rules of origin have a relatively simple and transparent structure: many take the form of a 40 per cent regional value content rule or the change-of-tariff-heading approach. Often, businesses have the flexibility to use either approach to demonstrate that their exports qualify for lower tariff under the terms of Asean FTAs. Preferential tariffs rates are only of much use when tariff preference margins are substantial — that is, when the preferential tariff in the FTA is substantially lower than the most-favoured nation (MFN) tariff that applies to other countries. If rules of origin are very restrictive then the cost of complying with them can sometimes exceed the benefit gained from access to lower tariffs. If this is the case, businesses will simply trade at MFN rates. Asean’s rules of origin do impose some costs, equivalent to a tariff of around 3.4 per cent on all goods, and the equivalent of a trade-weighted average tariff of 2.09 per cent. But the effects of this restrictiveness differ from sector to sector. While it is small in sectors like electronics or capital equipment, it peaks in sectors like fats, leather products, textile and apparel, footwear, and automobiles. Although moderate, restrictive rules of origin may contribute to observed low take-up rates. Because of this heterogeneity Asean’s relatively restrictive rules of origin may not have a huge impact on trade flows as a large proportion of international trade in the Asia Pacific region is in the electronics and capital equipment sector where MFN tariffs are low and the attractiveness of preferences is (with or without restrictive rules of origin) limited anyway. Nonetheless, simplifying rules of origin could offer some gains to Asean economies. This could be helpful in areas like machinery and automobiles, and also in light industries like apparel, footwear, and prepared foods, because these sectors play a significant role in exports and account for a large number of jobs. This article was authored by Olivier Cadot, a professor at the University of Lausanne and Lili Yan Ing, an economist at the Economic Research Institute for Asean and East Asia (ERIA). The article is based on the authors’ discussion paper published here by ERIA. It first appeared on East Asia Forum under a Creative Commons license and is reproduced here with its permission. What is the Asean Free Trade Agreement?